The model AS-08 Aircraft Pneumatic System Trainer is designed to provide hands-on training on a functional pneumatic system that uses actual aircraft parts. 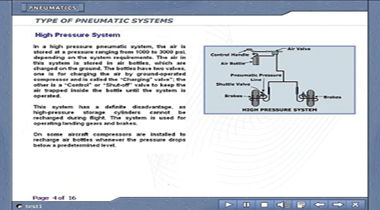 The system represents a pneumatic system that is used as an emergency backup for hydraulic system. A typical example is emergency braking system in case of hydraulically actuated brake failure. 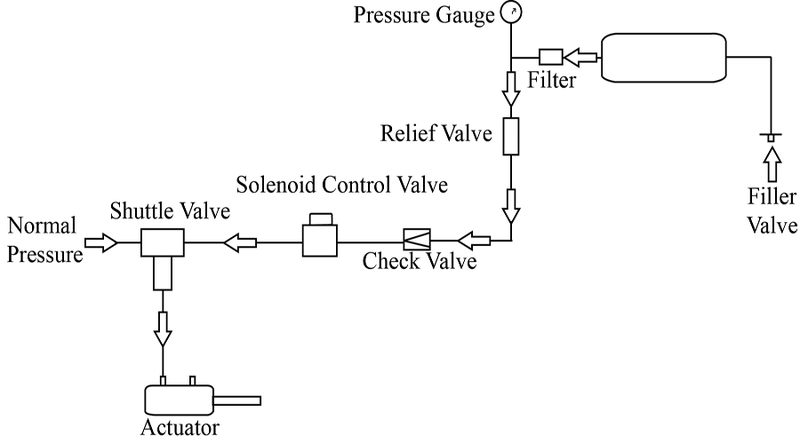 The trainer can be operated by a switch which allows the air pressure from a reservoir to operate an actuator.The reservoir can be refilled after use from any pressurized air source like shop air or air compressor commonly found in AMT schools. The pneumatic components are mounted on a vertical panel supported on a durable, moveable steel frame,with sturdy casters. A CBT courseware is included with the Model AS-08, which covers the system description and components’ details. A training manual is also included.